The company was founded in 2005, and since then, its core business has been driven by an innovative spirit, developing technological solutions for companies that want to stay highly productive and optimized. In response to the evolution of global technology and the desire to provide its customers the best and most current solutions, the company started to shift its focus in 2006. It started partnerships with the world’s leading technology companies, most notably with BEA, a world leader in middleware. This partnership has helped DSCON offer some of the most complete business process improvement software in the market, in addition to its team of highly-skilled consultants that help each customer implement these solutions in an ideal way. 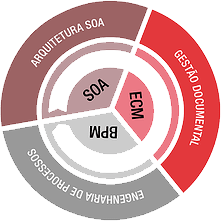 By 2007, DSCON had become a leader in BEA platform development and sales in Brazil, strengthening its expertise in middleware solutions. With the acquisition of BEA by Oracle in 2008, DSCON became a specialized channel for Oracle Fusion Middleware solutions. The company continued its specialization in middleware solutions, in addition to making investments and implementing training to offer Oracle ECM solutions. Starting in 2009, the company began commercial and operational activities in the Brazilian states of Pernambuco and Rio de Janeiro aimed at strengthening its presence in both the private and government sectors in these states. In 2010, DSCON was recognized by Oracle as a Platinum Partner specializing in Middleware, reflecting the company’s continued pursuit of excellence. This recognition was based on the company’s completion of notable projects in these technologies, as well as the certification level of its staff. In 2011, the company developed a “Digital Process” solution based on Oracle ECM and BPM as a standard for the entire state of Rio de Janeiro to transform all of its administrative processes into digital processes. In 2012, DSCON strengthened its offering of services to the government sector, continuing its growth trend and achieving a 45% expansion in its activities. In 2013, the company launched iGOV PAD - Administrative Digital Processes - an integrated document and process management solution developed to create, process, manage, and control administrative processes in municipal, state, and federal governments.